Make Your Dreams of Owning a Home a Reality! Achieving homeownership can be simple if you follow our 5 tried and true steps. Getting to that moment when you're handed the keys to your new home isn't as far away as you may think. 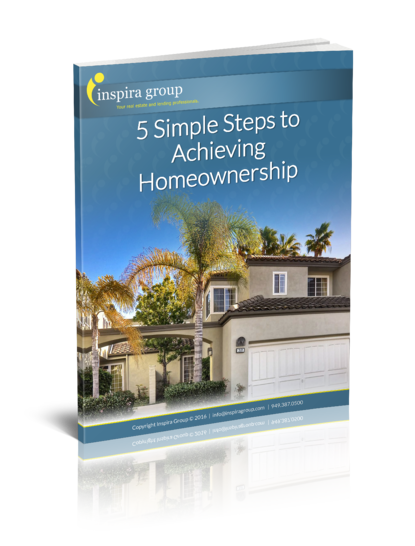 Simple, straightforward, and easy to follow, our new eBook, 5 Simple Steps to Homeownership, prepares prospective buyers who are looking to become first-time homeowners for the journey that they are about to embark on with simple, yet effective, tips from the real estate experts at Inspira. We like to say, "When the homebuyer is ready, the home will appear!" And this eBook will do just that for any future homeowner. If you are looking for a simple, helpful tool to get you started with the home buying process and well on your way to achieving homeownership, 5 Simple Steps to Achieving Homeownership is the perfect resource for you.